At Basmentalitys one-year anniversary at Fashing last sunday, there were a bunch of nice battles, among others Spakur & Osvensk Tiger vs Aggro & Obnoxious (check that one out when it’s released!). Also, Critical and the crew decided to give out Basementality-awards. 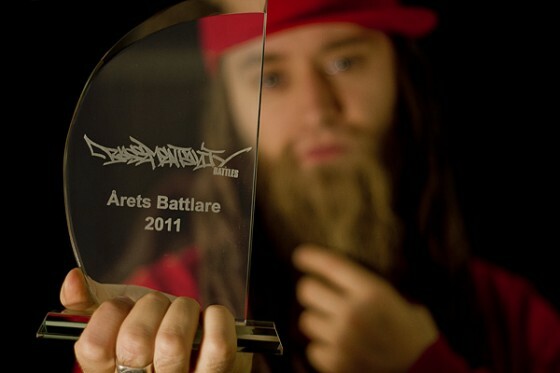 Nicko Mack got punchline of the year, Kalle Balik got best newcomer and Henry got the “battler of the year”-award! Well deserved! I hope Henry stays on top of Sweden’s battlescene next year aswell!